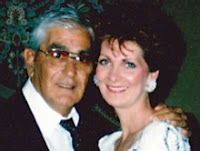 Joel "Joe Waverly" Cacace, a high-level Colombo mobster who still carries lead in his chest from previous gunfights, has been acquitted of ordering the killing of an NYPD officer who married the Mafioso's ex-wife. A jury took only four hours to reach their verdict clearing Cacace of murder in aid of racketeering in the killing of Police Officer Ralph Dols, who was shot to death in 1997 outside his home in Sheepshead Bay, Brooklyn. The verdict was reached yesterday, Nov. 26. Last year, Colombo gangster Thomas "Tommy Shots" Gioeli was acquitted of carrying out Cacace's alleged order, along with Dino Saracino. Cacace, 72, didn't walk out of the courtroom a free man following his acquittal as he is in the process of serving a 20-year sentence for racketeering after admitting to carrying out a hit on a federal prosecutor. He is not due to be released from prison until 2020 when he will be close to 80. Wonder if the mob reads Thomas Harris... they either stole this from the third Hannibal Lecter novel, or Harris stole it from them, though he seemed to associate this peculiar ritual to the island of Sardinia... I kind of doubt this has anything to do with Harris. 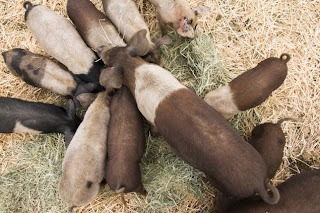 Man-eating pigs, I hadn't realized, are not as uncommon as you may think, even in the U.S.
Italian mafia fed man alive to pigs, police say - ChicagoTribune.com: ROME (Reuters) - A group of Calabrian mafia assassins beat a rival with a spade and fed him alive to pigs, Italian police said after rounding up 20 people for various mob crimes including five murders. Don't eat too much turkey and what do you all say we try to do a good deed each day. All of us are capable of this, even FBI agents and mob bosses! Albert Anastasia (Umberto Anastasio, Sept. 26, 1902 – Oct. 25, 1957) was one of the most ruthless and feared Cosa Nostra mobsters in U.S. history, bar none. A co-founder of LCN, Anastasia during the pre-war years ran Murder Inc., a group of primarily Jewish hit men always on call. 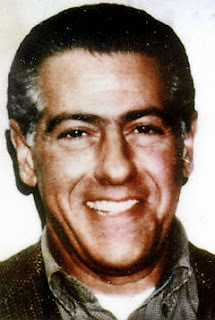 He was boss of what became the Gambino crime family in 1957, having killed his boss, Vincent Mangano. 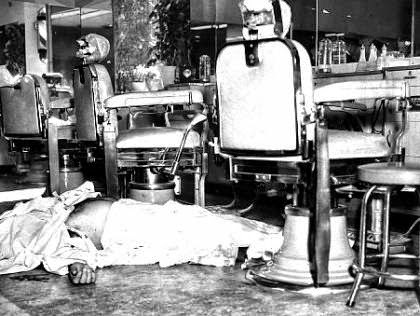 Anastasia's own execution in a midtown barbershop is one of the most spectacular mob hits ever. It was the most high-profile "hit" since the big mob war of the 1930s. And Carmine "the Snake" Persico and the Gallo brothers had nothing to do with it. One source told Cosa Nostra News: "Joey Gallo went around after the Anastasia hit telling people to call he and his pals the 'Barbershop Quartet.' That means nothing. I have had guys intimate to me that they clipped a certain guy, when I knew for a fact they had nothing to do with it." Susan Ferritto is a good friend of ours and we want to take a minute to thank her for all the help she has given us behind the scenes, setting up interviews, getting us tickets to the Vegas convention which we ultimately couldn't attend because of work, and finding hot topics for us to report on and write about. We still wish he was here -- no disrespect intended at all! Bensonhurst native Marco Manfre, who marked his 2013 debut on Cosa Nostra News with this story, is the author of two books, Returning to the Lion’s Den: Life in an Organized Crime Family and The Outcast Prophet of Bensonhurst, both of which are set in the Brooklyn borough of his childhood, based on people who defined that place and time for him. 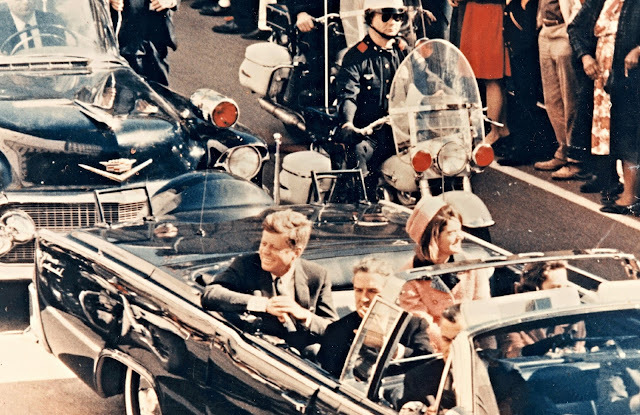 At the time of the 50th anniversary of the JFK assassination I was glad Marco sent this. I always found it interesting that the mob's involvement in one of the most infamous "hits" in history has always been a given for G. Robert Blakey, the main drafter of the RICO act and self-proclaimed smarty pants who named it after Hollywood gangster Caesar Enrico "Rico" Bandello (played by Edward G. Robinson) in "Little Caesar." Returning with a whole new batch of drama, "Mob Wives" season four debuts on VH1 next month. Veterans Renee Graziano, Drita D’Avanzo, and Big Ang are back, but a couple of new ladies will shake things up. And our next writer on Cosa Nostra News is none other than Tommy "Shots" Gioeli! 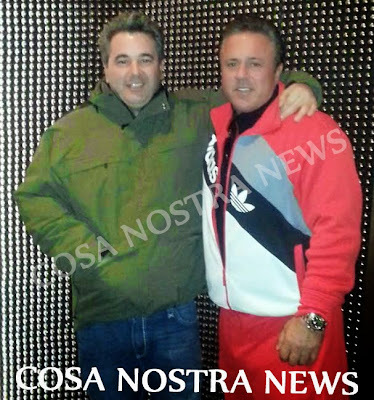 "[Gioeli] is accusing a guy [Cutolo] who Gioeli himself killed, of killing a cop," one former NYPD detective who worked OC and is familiar with all the players told Cosa Nostra News in an exclusive interview. "Gioeli should be an attorney." They may be out of the life but they still enjoy the lifestyle. Jimmy Calandra and Johnny Alite were recently in Las Vegas bellying up to the tables. They both did good, especially Alite -- who won 75 large, we were told. The two former gangsters are friends -- and gambling is obviously among their interests. 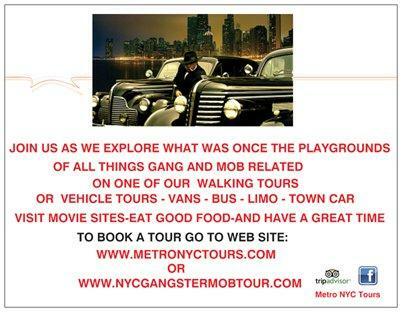 Something else they have in common is helping young people and others get out of, or avoid, the criminal lifestyle, whether it's the mob or a street gang. They each give talks about the life in front of church groups, colleges and other associations. 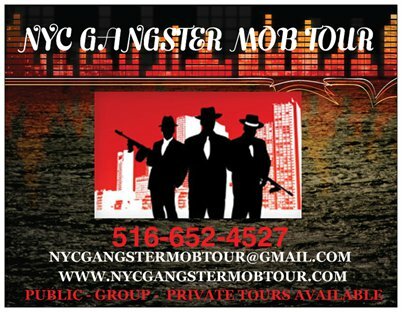 Calandra and Alite are both available to talk about their days in the mob living lifestyles that most of us wouldn't be able to imagine; any groups interested, email Cosa Nostra News. Also we hear Skinny Joey is denying what we reported last week regarding a "meeting" between the Philly mob boss and informant Chris Paciello (Christian Ludwigsen) -- Skinny Joey says that the rat didn't have the nerve to look at him, never mind threaten to break his teeth, and that Joey was the one who gave Paciello the Malochia. This is from Capeci's site, which is PPV. Gangster Michael Meldish took a bullet to the head on Friday night in a grizzly exercise of Mafia recidivism. The killing has all the signs of a genuine, bona fide mob hit – old school all the way. Meldish, whose brother is currently serving time in prison, has been a notorious hitman believed to have killed more than 10 people in the two decades he spent running The Purple Gang. His reign ended on Friday night, at around 10:30 p.m. His body was found in the driver’s seat of a rusty Lincoln LS in Throgs Neck on Ellsworth Ave.
“Michael was a stone-cold killer,” Joseph Coffey, former commanding officer of the NYPD’s organized crime homicide task force, told the New York Daily News, which added that Coffey had “tried for years to pin murders on Meldish…” Interesting choice of phrase. Big Dino Shocked! Shocked! He'd Whacked an NYPD Officer for Joe "Waverly"
An ex-Colombo hit man testified Thursday that he had no idea the victim he whacked on orders from his Mafia superior was an off-duty NYPD police officer. 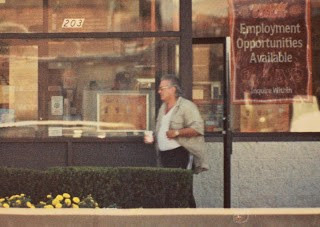 Mob snitch Dino (Big Dino) Calabro claims he was shocked the day after the 1997 killing when the murder was splashed on the front pages of the tabloids. "Whoa, what the f---, it was a cop!" 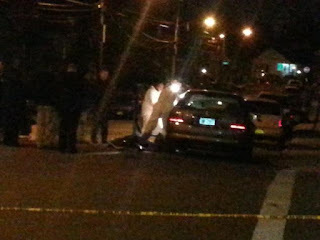 Calabro said in Brooklyn Federal Court at the murder trial of Joel (Joe Waverly) Cacace. Calabro said he was part of a hit team that had been stalking Officer Ralph Dols for weeks after receiving orders from then-Colombo consigliere Cacace. Prosecutors contend Cacace wanted the cop dead because he had "dared" to marry the gangster's ex-wife Kim Kennaugh. Cacace, who was referred to as "she" by his underlings because of his long hair, had only described the victim as a Mexican who worked in a Queens social club, according to Calabro. Back in Court: Feds Take Another Shot at "Uncle Joe" and Nephew "Georgie Boy"
Philly.com: It might be considered the low-budget sequel. 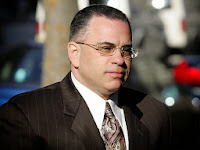 But reputed Philadelphia mob boss Joseph Ligambi and the federal authorities who have pursued him for 13 years both hope this time brings blockbuster results. Ligambi, known as "Uncle Joe," returned to court Thursday for his second trial in as many years on racketeering conspiracy charges. His nephew and alleged consigliere, George "Georgie Boy" Borgesi, sat by his side. Eight months ago, a federal jury deadlocked on the most serious counts against them after a marathon, four-month trial involving 12 other mob defendants. But as a new panel of 10 women and two men took up the case again, prosecutor Frank Labor cut straight to the chase. "Joe Ligambi . 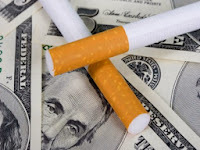 . . our boss," he said in his opening statement. "That was how he was introduced to a meeting of mob leaders in New Jersey in 2010." James "Jimmy" Calandra (pictured) who appeared on National Geographic's documentary about the New York Mafia was visiting his old stomping grounds in Bensonhurst this past June. He reportedly stepped into a Dunkin' Donuts on 18th Avenue when a man and woman inside recognized him and started harassing him. The man, described as a local convicted hoodlum, shouted "rat" at him while the man's lady friend threw a cup of coffee in Calandra's face. Lucky for Jimmy it was iced coffee. But not so lucky for her boyfriend, Jimmy apparently can use his fists. A well-placed crack to the guy's jaw knocked him unconscious, and put him in the hospital where he was given stitches. Calandra split, while his would-be attacker went to law enforcement. Calandra immediately owned up to what he'd done and was charged with misdemeanor assault, menacing, and harassment for punching the man. UPDATE Former Gambino crime family boss John A. Gotti Jr. says he was stabbed in the stomach while trying to break up a fight outside a Long Island drugstore, a law enforcement source told the Daily News. Gotti, the son of late “Dapper Don” John Gotti, told Syosset Hospital staff he took a knife to the gut on Sunday night while trying to stop two strangers from fighting in the parking lot of the CVS across from the Long Island Rail Road station in Syosset. The mob scion then made his own way to the hospital, where staffers called police because of the nature of the wound, another source said. Serving Time Only Way to Join "Il Sistema"
Charles DeLucca, our “foreign correspondent,” writes occasional stories for this blog, usually about life in organized crime in Italy; he often draws comparisons between the Camorra and the American Cosa Nostra. 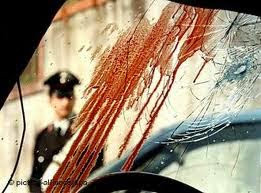 Life in "Il Sistema" (La Camorra) is depicted in a famous neapolitan song entitled "Il capoclan´." Unlike Sicilians, who see the State as the eteeeeeeeeernal enemy, we Camorristi own the State, and the State is part of our daily rackets, a part of our way of doing things. Anyway, this song starts by saying: .... "Da piccolo non ha potuto mai studiare, per sfortuna se ne andò a lavorare. Si sacrificò per mangiare la sera, volle la famiglia nella miseria...... Certo questo l'ha voluto Dio, se ora è un vero uomo di strada E se ha deciso così a chi deve dare il cuore? E' capo e sa campare e noi dobbiamo rispettarlo." According to The New York Daily News, former mobster, Angelo Lutz, has opened a new Mafia-themed restaurant thanks to crowd funding after he was refused a bank loan because of his criminal past. Lutz eatery "The Kitchen Consigliere" in Collingswood, N.J., uses the history of crime to build it's attraction, starting with the sign outside the eatery, which echoes the logo for "The Godfather" but with a chef's hat. 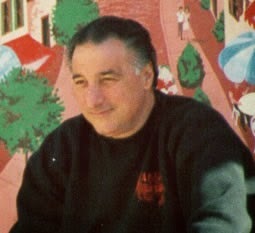 A mural on one wall puts Lutz, also known as Fat Ange, at a table with famous gangsters such as John Gotti and fictional character Tony Soprano. On some nights, Lutz serves up a special he calls Joey's Pork Chops, in honor of Joseph "Skinny Joey" Merlino, the reputed Philadelphia-South Jersey mob boss. Uh-oh! But wait, hang on -- it's only in Italy... for now. Imagine if this were brought to the U.S., though? Don't worry, those of you who may have reason to worry; the concept won't work. Why? As the article itself notes: "The mafiosi themselves may be able to provide false information anonymously in order to confuse investigations." 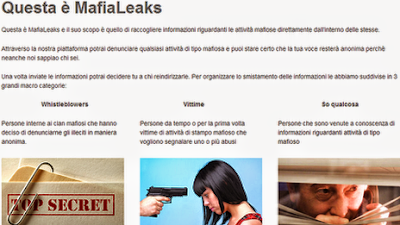 From the BBC News: A new website called MafiaLeaks, which promises to protect the identities of anyone wanting to inform on the Mafia, has been launched in Italy. A story on this blog about the Zetas and 'Ndrangheta working together, which was written and posted about two years ago, has just today gotten someone to write two of the longest comments I have seen in my history of blogging. The problem is that every word is in Italian, a language I don't speak (with any degree of fluency). I want to make sure the guy's not issuing some kind of orders on my blog. If his comments are legit, I'll leave them there. From SFGate: A man was sentenced to prison on Friday for his role in illegal gambling businesses that prosecutors said were controlled by a New York organized crime group. The Connecticut U.S. attorney's office said Joseph Borea, 56, of New Canaan, was sentenced in Hartford federal court to 33 months in prison. Borea was fined $50,000 and ordered to forfeit $75,000. He was arrested last year and pleaded guilty in August to one count of conspiring to violate racketeering law.